Fashion is constantly evolving... a never-ending forward motion that leaves its mark on all of us. 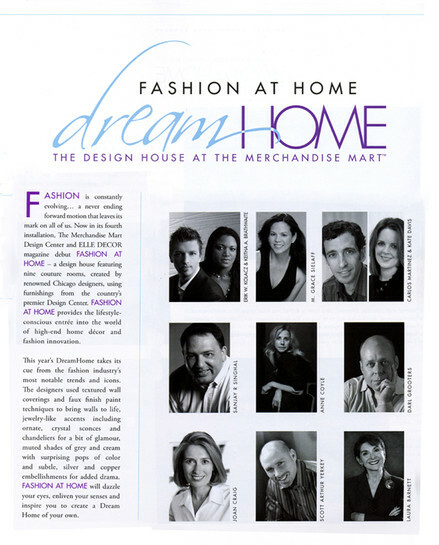 Now, The Merchandise Mart Design Center and ELLE DECOR magazine debut FASHION AT HOME – a design house featuring nine couture rooms created by renowned Chicago designers, using furnishings from the country’s premier Design Center. 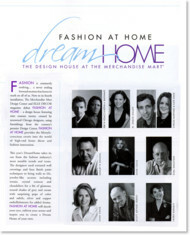 Visit FASHION AT HOME to experience the latest interior innovations.